In Living In Peace Joy and Balance you will identify areas of your life that are out of balance and you’ll find the tools and resources you need to bring everything back into balance. Peace grows out of knowing who we really are at the core, and balance gives us the ability to handle anything life sends our way. You’ll learn to work hard and play joyfully, to go at full speed when you need to and relax totally when you want to. You’ll begin with written goals, affirmations, plans, and a support team that enlists the help of others. Living In Peace Joy and Balance you will be guided through the practical steps that lead to creating a wonderful balance in your life, even in the midst of challenging circumstances. You will learn your true identity and begin to embrace your own power as you create a beautiful, stress-free environment. 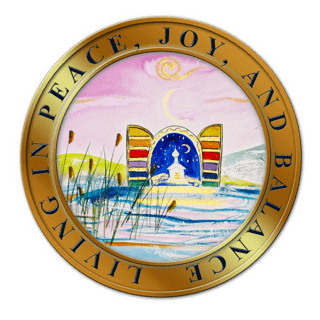 Living In Peace Joy and Balance will encourage you to begin your journey toward enjoying a life filled with peace and balance by envisioning your best life and aligning your thoughts with bringing that vision to life, creating a reality where you feel relaxed and free. Find the peace that only comes with true balance in your life! 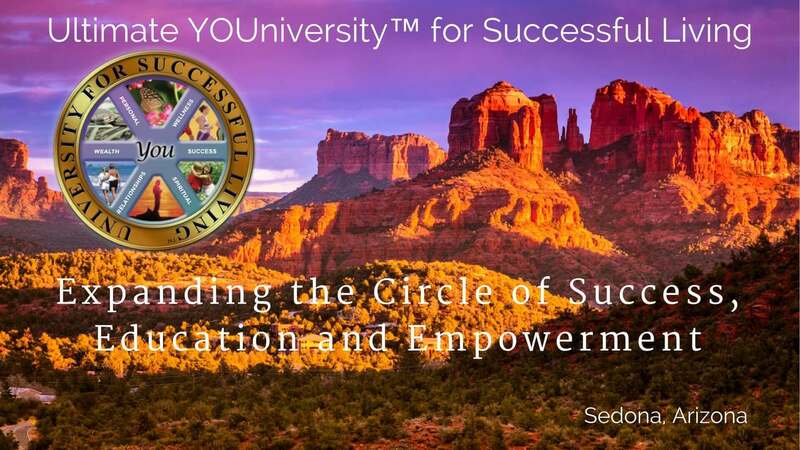 Begin this program today! Learning to enjoy peace and balance means discovering and accepting the fact that peace comes from within. Your inner peace is not dependent on outer peace. If it was, you would be at the mercy of a crazy world and would spend all your time trying to control that world so you could have a little peace of mind. Many people do this, and wear themselves out trying to get the world and those around them to comply. However, this kind of control is misplaced. The kind of control that is needed is self-control. Inner peace depends on your ability to let go of the world while practicing the discipline of personal responsibility for your attitudes, responses, and behaviors. The question to ask yourself is, “Are you part of the problem, or part of the solution?” If you are in the habit of blaming others, denying responsibility, manipulating people or events, magnifying small irritations so you’ll have something to talk about, or constantly creating drama because it brings you attention, you will never have peace and balance. If you want peace of mind and a sense of balance in your life, you have to make a commitment to truth, love, cooperation, service, acceptance of what is, and a willingness to embrace your own power to create a beautiful, stress-free environment. A common misconception is that the way to have peace is to ignore your feelings. Another – and opposite – misconception is that some reactions and behaviors are “normal,” or even expected in certain cases. For example, when insulted, some people get angry, others become aggressive, some feel crushed and their self-esteem takes a dive, while still others slink away to pout or and spend days imagining things they could do to get even. Most of us inherit attitudes, responses, and reactions to certain feelings from our parents. We observed them and copied what they did – or what we thought they were doing. The problem with both of these misconceptions is that too many people flop from one pole to the other as if these were the only two possibilities. To ignore feelings is an invitation to have them go underground and sabotage your relationships in very destructive ways. The feeling goes unfelt, unacknowledged, and unexpressed, then surfaces later at a totally inappropriate moment. When you hear a friend or lover irritably complaining, “You never do (or say)…” OR, “You always think (or say, or act as if)…” then you can be fairly certain they have been ignoring feelings and allowing them to go underground. You are not limited to one pole or the other – ignoring feelings, or reacting negatively to what has just transpired. What about all the other possible responses that would allow you to say, “Wow, that was quite an insult! Is that what you really wanted to say?” and give the person a chance to restate their words, perhaps more positively. If you are in a particularly detached state of mind you might respond with an unspoken observation like, “Hmmm, that was truly an insult and I think this conversation will be terminated until she’s in a better place. Then we’ll talk some more,” and then leave as quickly as possible. There is always the simple truth that would say, “Ouch, that insult hurt! I’m so sorry you felt the need to say that.” And if you were feeling brave and willing to listen deeper, you might add, “What else are you feeling that I should know about?” then breathe deeply and slowly as you listen bravely to someone else’s truth without taking it personally. Fortunately, we can and do design our own lives whether consciously or unconsciously. Things often go a bit smoother when we do it consciously, and some people have a natural gift for maintaining a peaceful atmosphere. If you would like to be one of them, consider the Ultimate Destiny self-study course, Living in Peace, Joy and Balance. You will find it really is possible to nurture the spirit of peace and keep your life in balance. 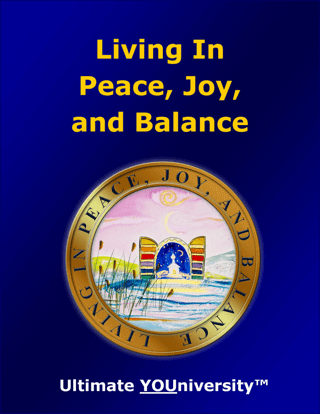 Living In Peace Joy and Balance also includes featured resources including printed and digital book, audio and video programs, seminars, workshops, webinars, tele-seminars and live events from some of the top resource providers in the world. 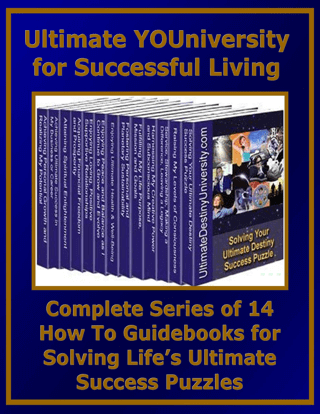 Living In Peace Joy and Balance is a Treasure Chest packed with 110 pages of original content, fun and insightful self discovery assessments, Master Goals Setting Forms, Implementation Action Planning Exercises and several FREE BONUSES. It is now available at introductory sale prices as an E-book or printed book.